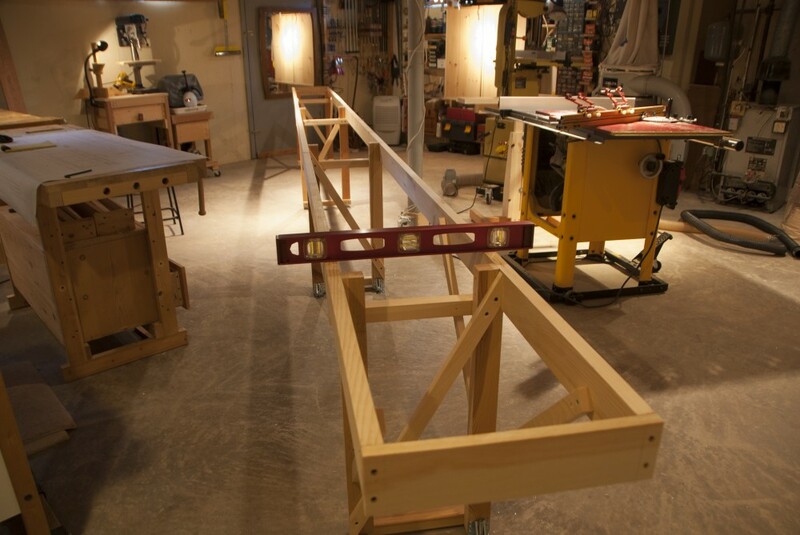 This is the Strongback/workbench to build a rowing shell. It is 22′ x 1’4″. The scull is or will be Graeme King’s Kingfisher.